The "historic" Democratic presidential primaries of 2008 are kicking in already, and the online announcements of Senators Barack Obama and Hillary Clinton have spun the media into a frothy sweet Frappucino of giddiness. For three years, President Bush has been portrayed as stubborn on Iraq, so defiant that it’s disturbing, perhaps even a sign of delusional certitude. There’s a mirror image at play: those doing the portraying, i.e., the media have been every bit as stubborn when it comes to their defiant insistence that everything that happens in Iraq, no matter how positive, is another peg for bad news coverage. Anyone remembering the ascent of Newt Gingrich to House Speaker in 1995 surely noticed a difference between media coverage of that historic event and Nancy Pelosi taking the gavel back for the Democrats in 2007. One had all the joy of a child’s funeral. The other was New Year’s Rockin’ Eve. CNN even had a countdown clock to the Democrats regaining the majority. All that was missing was a lighted crystal donkey that would descend down a pole on the top of the Capitol dome. CNN’s Dana Bash called Pelosi’s gavel grab a "moment to savor," surely true for her supporters, but the bitterest of pills to swallow for those who worked their hearts out last year to keep Pelosi and her liberal army from retaking the House. CNN left no doubt where it stood on this divide. The liberal media despised Newt, and adore Nancy. They’ve demonstrated this by the way they played up the Gingrich threat in the weeks after the ’94 GOP tsunami, while virtually ignoring Pelosi and her radical agenda for the last two months. The passing of President Gerald Ford drew a dignified, even warm farewell from the national press. There was near-consensus that he would be remembered for his decency and the risk he took, pardoning Richard Nixon from Watergate prosecutions in an effort to heal the nation. It is proper that the press is kind today. It ought to be remembered, however, that the press was not of this opinion when Ford took office. Atheist activist Sam Harris recently proclaimed on National Public Radio that America needed a lot more mockery of religious belief. "I think the criticism of irrationality just has to come from 100 sides all at once,” he declared. “In the entertainment community, maybe you'll just have people making jokes that are funny enough and true enough so as to put religious certainty in a bad light." It’s amazing that as the 20th century escapes from our rear view mirror, some hippie liberals are still recycling their Sixties angst. For God’s sakes, it’s almost 2007. Can’t someone graduate from college without a baby boomer commencement speaker pulling out a handkerchief over the sorry state of the world since the idealists shook their last tambourine on the Ed Sullivan Show? That great American ambassador and lovely lady Jeane Kirkpatrick has left us, but her passing also causes us to remember her strategic sense and moral clarity. She came to national prominence in Reaganite circles in 1979 with her marvelous Commentary magazine essay on “Dictatorship and Double Standards.” It argued that traditional authoritarian autocracies were both more susceptible to liberalization and more amenable to American interests than totalitarian dictatorships of the left, which came into power with disturbing frequency in the late 1970s, with America as their stated enemy. She easily explained how the Carter administration and the liberal press romantically saw in the revolutionary left a shared commitment to modernity over tradition, science over religion, an educated bureaucracy over private hierarchies, and futuristic and universal goals over appeals to an archaic and ordered past. 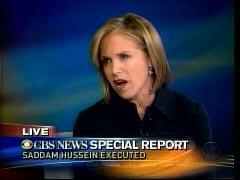 Bozell Column: Are The Planes Safe? The hubbub raised over six Islamic imams being removed from a US Airways flight in Minneapolis for suspicious behavior is the latest in a string of incidents underlining one consistent thread in the war on terror: Muslim terrorists have never given up on the tried and true idea of hijacking airplanes and blowing them up to kill and demoralize the infidels. Bozell Column: Who's Soft on Propaganda? They complained when government agencies like the Department of Health and Human Services put out “video news releases” that some lax TV stations aired without editing. They complained when the Pentagon hired American P.R. companies like the Lincoln Group to place positive stories about American forces in the Iraqi newspapers. They complained when conservative P.R. man Armstrong Williams struck a deal with the Department of Education to promote the Bush “No Child Left Behind” policy. But the same left-wing crowd that claims to hate propaganda seems to be offering nothing but flowers and best wishes for the November launch of al-Jazeera English. We lead fairly schizophrenic lives during the Christmas season in America. Our popular holiday rituals are bifurcated between the sacred and the secular; between the very worldly commercial extravaganza of Christmas as offered by our department stores – when they have the guts to employ the word “Christmas” – and Christianity celebrating the birth of Our Lord. 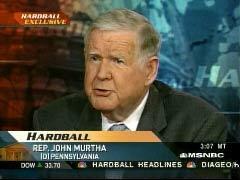 For most of the last year, Congressman John Murtha has been placed on a pedestal by the major media, painted in red, white, and blue hues as a “hawkish” Democrat who courageously declared we needed to “redeploy” (read: withdraw) from Iraq. Bozell Column: A Macaca Majority? 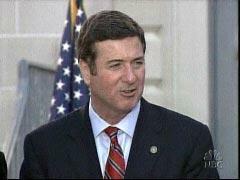 In mid-August, Sen. George Allen used the word "Macaca" to describe an Indian-American staffer for his Democrat opponent who’d been filming his campaign appearances. 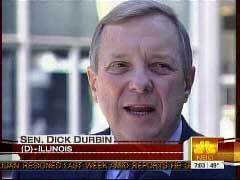 Little did he realize that this would cost him his Senate seat and any hopes for the presidency in 2008. If we rigidly applied truth-in-advertising laws to the national media in their coverage of the 2006 campaign, we would have first declared that the stuff between the commercials wasn’t "news" as much as a boatload of free infomercial advertising for the Democrats. 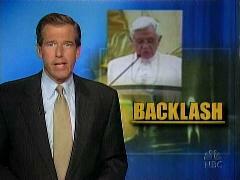 The news reports should have led with the sentence, "I’m Nancy Pelosi, and I approved this newscast." There are occasions in the news coverage of campaigns where fevered imagination kicks in and calm, comparative reason takes a holiday. 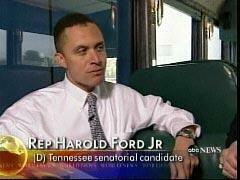 Here we go again, and this time it’s Harold Ford Jr., the Democratic contender for the Senate in Tennessee/>/> who is getting the red carpet media treatment. Our news media have long lectured us that their role is not to be "stenographers to power." Theirs is the pursuit of truth, we are told. But when it comes to networks like CNN, those ethical rules are crumpled and tossed into the nearest trash bin. After more than 100 stories on ABC, CBS, and NBC on the Mark Foley Internet-messaging scandal, it wouldn’t be hard for the average Joe to conclude the Democrats are now the Party of Moral Values. Democrats are demanding that Republicans return the monies Foley gave their campaigns. It is beyond easy – it is mandatory – to denounce Congressman Mark Foley for his sexually charged electronic mail and Internet messages to teenage males who worked as pages in the House of Representatives. He was right to resign. I hope he’s prosecuted. 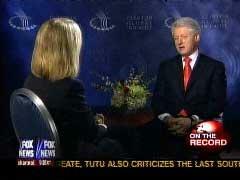 Pundits are pondering Bill Clinton’s feverish attack on “Fox News Sunday,” laying into Chris Wallace for alleged oh-so-clever smirking and pounding the host’s leg with his pointy finger for emphasis.